In the 17th century, the Indian subcontinent had fallen victim to countless invasions and atrocities. People’s homes and wealth were pillaged, their right to live a dignified life was denied and their right to practice faith freely was assaulted. Forced religious conversions had become the norm. 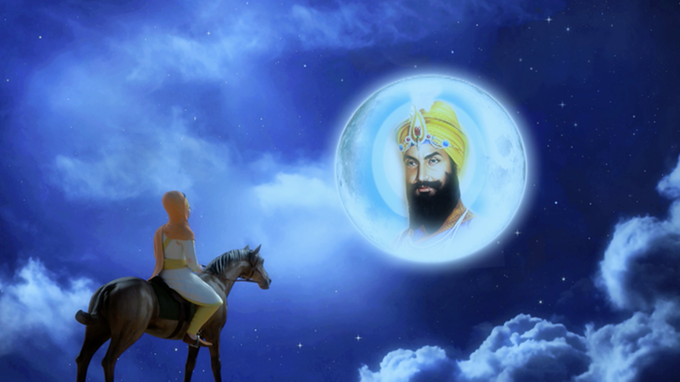 Into this dangerous climate… the Khalsa was born. The Khalsa was a universal brotherhood of warrior-saints. Their primary purpose was to protect the meek from further oppression and tyranny. Swearing to defend the people’s right to live freely, the Khalsa adorned a unique physical identity, as per their divine mission: to stand out from the crowd, be ever-ready to protect others and continually fight for humanity. Such was the extraordinary birth of this Khalsa at Anandpur Sahib in 1699, whose spiritual father and mother were Guru Gobind Singh and Mata Sahib Kaur. This movie is about the life story of Mata Sahib Kaur (forever immortalised as the Mother of the Khalsa – the mother of an entire nation). It explores her spiritual and temporal leadership qualities, and the socio-religious contributions she made to society during the most turbulent times the country had ever witnessed.